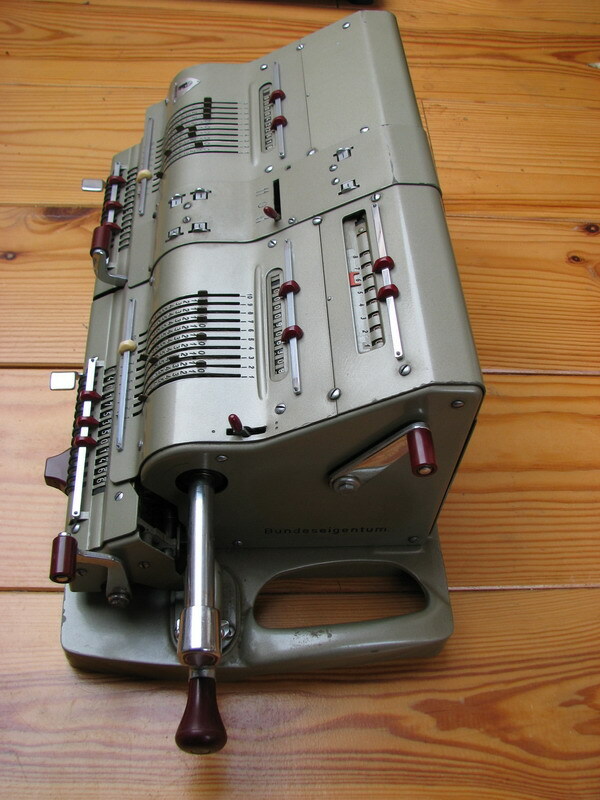 This is Brunsviga's latest incarnation of the double calculator, D13R1, from 1958. The finish had changed by then, from the slightly crinkled moss-green of the B183, to the bright gleaming light green of the last Brunsvigas. This one has one counter register, as indicated by the R1 in the name. 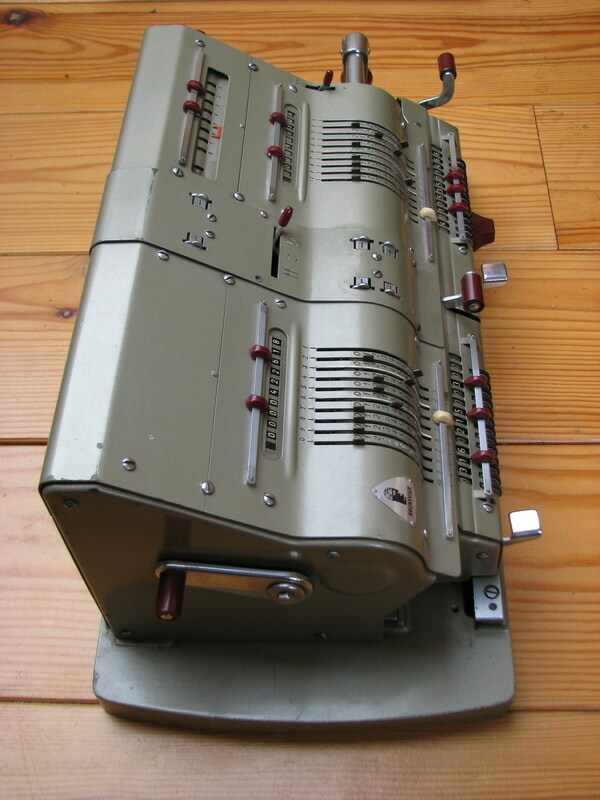 The carriage can only shift over 8 positions, and thus the registers cannot be exchanged, unlike in the Thales GEO. 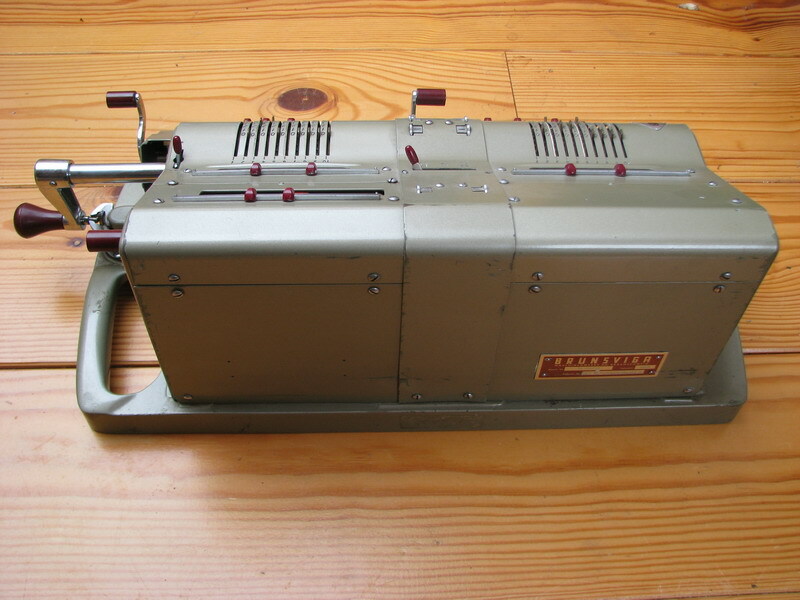 The machine works perfectly, and is very light in action. 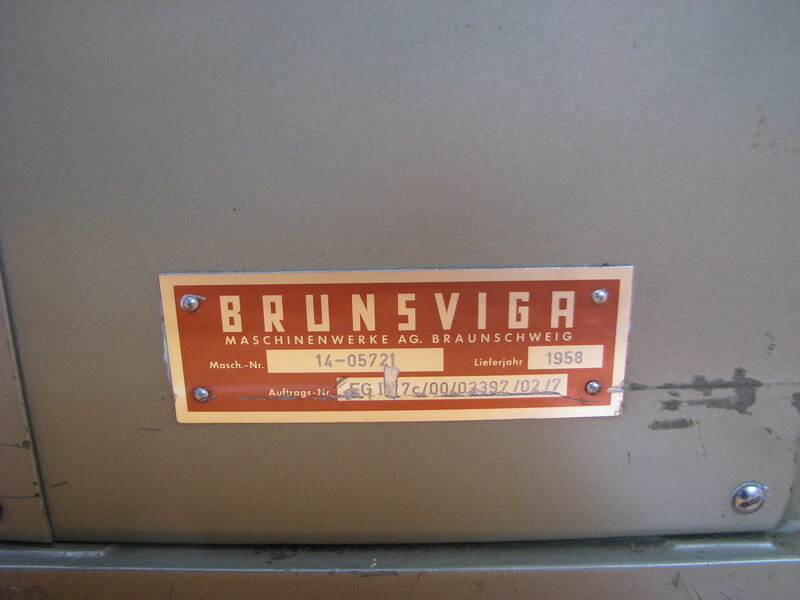 It was originally an army machine ("Bundeseigentum"),where they were used often for calculating artillery trajectories. Thus, it comes with an army green case. Unfortunately, some of the rubber seal was eaten by mice. 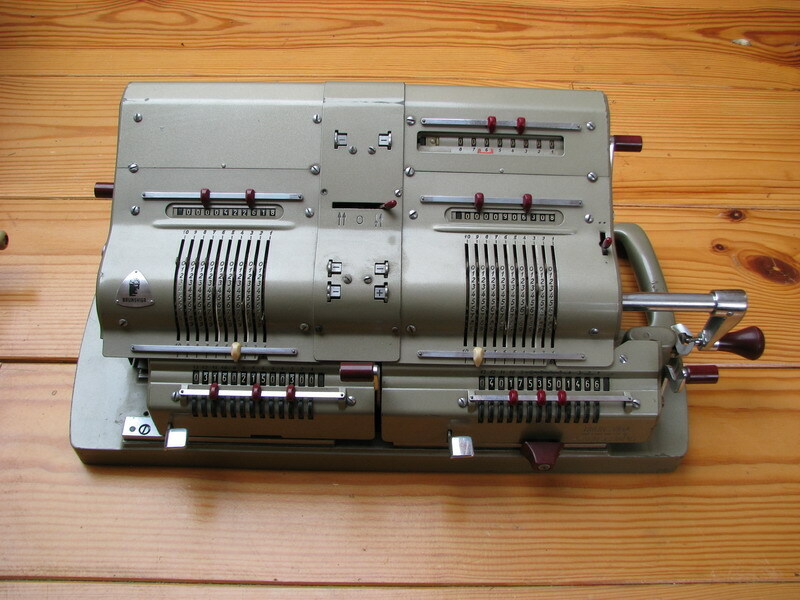 You can see the results of the coordinate calculation still in the registers of the machine.